The Controller is the Chief Fiscal Officer of California, the eighth-largest economy in the world. Elected every four years, the Controller makes sure the State’s $100 billion budget is spent properly, helps administer two of the nation’s largest public pension funds, and serves on 81 State boards and commissions. These are charged with everything from protecting our coastline to overseeing crime victim compensation. The State Controller’s Office (SCO) administers apportionment programs that process, allocate and disburse billions of dollars in payments to local governments, agencies and special district entities. On a yearly basis SCO processes over 30,000 payments resulting in the distribution of over $40B to these entities. The apportionment support systems developed in the early 1990s were maintained using antiquated and, in some instances, unsupported technologies. SCO selected Delegata to manage, design, develop, and implement the Agile Payment System (APS), a custom web-based application, with the corresponding business processes and technical infrastructure. Utilizing the Diamond methodology and a team-based commitment to finish the project on time and on budget, Delegata delivered an ‘interpretive’ solution that enables SCO to quickly and easily model their new and changing business processes. The flexible solution interprets business models and enables business owners to define and enter business rules directly into the APS application. Since business rules and processes are stored as data (not implemented in code), the solution does not require new programming to accommodate changes. In addition to managing and implementing APS utilizing proven methodologies from the Project Management Body of Knowledge (PMBOK) and the Rational Unified Process (RUP), Delegata employed its proprietary Organizational Change Management (OCM) and Business Process Reengineering (BPR) methods and tools from their best practices-based Diamond Methodology to help ensure the new processes and system were quickly and effectively adopted by SCO’s business users. At the outset of the APS initiative, SCO leadership recognized that impacts on their organization and business processes would be just as significant as the changes to their technology environment. They requested that OCM be a component of delivery and consider it one of the keys of their success. Delegata and SCO received the 2007 Best Solutions Award at the Government Technology Conference for the Agile Payment System. The Attorney General also assists district attorneys, local law enforcement, and federal and international criminal justice agencies in the administration of justice. 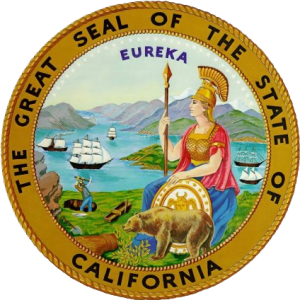 To support California’s law enforcement community, the Attorney General coordinates statewide narcotics enforcement efforts, participates in criminal investigations and provides forensic science services, identification and information services and telecommunication support. In addition, the Attorney General establishes and operates projects and programs to protect Californians from fraudulent, unfair, and illegal activities that victimize consumers or threaten public safety. The Attorney General also enforces laws that safeguard the environment and natural resources. Under the state Constitution, the Attorney General is elected to a four-year term in the same statewide election as the Governor, Lieutenant Governor, Controller, Secretary of State, Treasurer, Superintendent of Public Instruction and Insurance Commissioner. In 1990, voters imposed a two-term limit on these statewide offices. Amongst many other public safety responsibilities, the California Department of Justice (DOJ) is tasked with the oversight of firearms purchases and eligibility clearance processing. To enforce laws that prohibit certain persons from possessing firearms, Senate Bill (SB) 950 mandated that DOJ establish a Prohibited Armed Persons File. DOJ partnered with Delegata to develop the Armed Prohibited Persons System (APPS) making California the nation’s first state to build an automated system for tracking handgun and assault weapon owners who pose a threat to public safety. APPS is a database of persons who have been, or will become, prohibited from possessing a firearm subsequent to the legal acquisition or registration of a firearm or an assault weapon. Authorized law enforcement agencies will have inquiry access into APPS to determine the prohibition status of a person of interest. DOJ will populate APPS with all handgun and assault weapon owners across the state and match them up against criminal history records to determine who might fall into a prohibited status. Automatic notifications from State and Federal criminal history systems will be received daily to determine if there is a match for a current California gun owner. When a match is found, the system automatically raises a flag to Firearms Division staff which triggers an investigation into the person’s status. Utilizing the Diamond methodology and a team-based commitment to finish the project on time and on budget, DOJ and Delegata completed the development and implementation of the new system in fewer than 7 months. Now agencies committed to public safety will have an automated tool to increase efficiency and accuracy as well as enhance collaboration and cross-departmental communication. DOJ and Delegata established a foundation for collaboration within internal departments and across external organizations by utilizing data from internal DOJ databases as well as from the California Department of Motor Vehicles (DMV) and the Federal Bureau of Investigation (FBI.) DOJ and Delegata were honored to win the “Best Solutions Award” for APPS at the Government Technology Conference (GTC) West 2006. Architecture is an overused term that tends to limit implementation to technical infrastructure. Organizations have established inertia in how they deliver mission services, making change difficult. Technology investments grow based on solving many small problems with little potential for efficiency related to business needs. Continuous, small changes occur daily, making strategic direction difficult, as each change is not brought into alignment with the enterprise vision and strategy. Pressure for greater effectiveness and efficiency is therefore often out of alignment with the enterprise direction. Business and technology are not in harmony, so architecture is the element to pull them together. When organizations continue to sacrifice strategic opportunity for sub-optimization, problems can spiral out of control. To simplify the complexity of necessary changes, architecture can be utilized to solve categories of problems. Such initiatives can be iterative and incremental based on staged targets. Architecture requires the use of proven models to facilitate and accelerate achievement. Process fundamentals help establish lasting program success. Synergistic improvement will gradually accelerate as programs see the potential value realized. Enterprise Architecture (EA) – while a dominant buzzword in industry – has meanings that vary significantly. In many cases, EA is seen as a project to ensure that the business, or more often the technology side of business, can operate more effectively and efficiently. In reality, to be sustainable, EA must be a business strategy supported by program operations. The EA program is responsible to bring the right information to leaders and managers to help them make the right decisions for projects or programs that can achieve the required business results. While EA may be well served through forms of compliance, it is the EA services that will help all parties understand the value and benefit of doing things differently. This is the optimal approach to EA; it is the best way to ensure the appropriate investments are made in the right sequence to bring about optimal results. This solution contributes to enterprise performance effectiveness. Productivity is improved in alignment with business objectives. Sub-optimization within silos is gradually reduced to gain cross-functional benefits. Business services are no longer held back because of low-level investment decisions. Interoperability drives improvements in formerly high cost support operations. Business outcomes begin to lead peer organizations. Enterprise potential is realized more frequently and service-to-cost ratios are lowered. Security is a two-edged sword – if too tight, individuals are not able to obtain access to relevant resources; if too loose, access is insufficiently controlled and damage occurs. Often, the organization operates with significant partners that also need access, complicating how to provide for identity as well as access during the dynamic day-to-day changes. When organizations fail to protect assets they lose the trust of those they serve. Additionally, merger and acquisition activity can make rapid access to new systems a nightmare if flexible systems are not in place. With additional legal responsibilities for compliance, the challenge can become a significant liability. It is important to establish identity and access management as a key enterprise practice equal to the business need. This is not a technology problem. The enterprise must determine the extent of the need and solve the holistic problem, not cobbling pieces for isolated needs. By resolving categories of problems (rather than individual problems) with applied solutions, significant cost impacts can be avoided. Consider also the extent to which identity and access capability has to address processes that extend beyond the enterprise boundaries. As new processes or systems are implemented, always consider how to incorporate requirements for identity and access to ensure the architecture impact of each change is monitored for security impact. Business is conducted more and more with a globally distributed value chain. As distance becomes less of a constraint to partnership, participants in the value chain proliferate and need access to systems and information. Identity and access management is an industry solution that allows for many different levels of identification and access accountability, while maintaining the ability to audit, authenticate and administer appropriate access. With the added exposure of the Internet and the growing accessibility of assets through electronic means, the demand for security considerations has significantly escalated. Additionally, the growing threat of identity theft and liability associated with breach of personal information has led to accelerated legislation and policies for increased privacy and security. Identity and access management solutions are tailored to the unique requirements of an enterprise. This solution has a number of benefits, not the least of which is delivering rapid productivity for new users. Assets are protected and not lost or damaged, which reduces liability. With appropriate solutions, the cost and speed of integration can be significantly reduced. A corporate image and confidential information can be protected from access breaches. In today’s legislated environments it is also highly possible that fines could be levied for lack of compliance. Regardless of the environment for implementation, it is clear that managing security and controlling access is critical to modern enterprises. Business organizations have created a situation with customers that is often not acceptable. This occurs when organizations are lost in finding outcome measures and when they are not familiar with their customers. Work effort is expended, but required customer results are not achieved. Customers are not satisfied; even partners are not satisfied with performance. Customer complaints tie up resources and cause repeat services, costing a significant amount. When other priorities take precedence over outcomes, customers often seek alternative providers. Without a true customer focus to ensure the outcomes they expect can be fulfilled, the challenges will remain. Performance management for business outcomes begins at the top. An organization must decide what it needs to produce as outcomes for their target customers. These outcomes need to be the systemic focus of the people, assets and activities to achieve the outcomes. If aligned with highest level performance criteria in the enterprise, priorities should be clear and solidified to allow all contributors to act in ways that complement performance. By systematically approaching how the system is designed for outcomes, then measuring for facts supporting outcomes, the basics are in place for all parties to continuously improve to achieve as expected. here is perhaps no solution more logical than one that would have an organization focus on required outcomes. An organization can get distracted by the many things it does to fulfill its mission. In the day-to-day work, managers and staff do their best to get their work done, but may lose sight of the required end result, which might have changed over time. It is important to ensure that there is strong alignment from the top of the organization and throughout, to ensure that effort is focused on required outcomes. Organizations must learn what methods can lead to the required outcomes and tailor their performance to deliver those results. There are many techniques and solutions available to help organizations gather facts and demonstrate how outcomes are being achieved. By focusing on performance outcomes rather than other internal measures, organizations have achieved significant changes. Customer satisfaction is enhanced and the reputation of the organization continues to improve. Funding from sources continues and, at times, expands as outcomes are proven. Internal staff gain faith in management’s ability to organize for effectiveness. Business partners see more value in remaining a participant in the value chain. Often cost of operations decreases as rework or complaints abate. As target customers are better understood, benefits continue to grow in performance outcomes. Complaints begin to be seen as opportunities and individuals in the enterprise have more and more ideas for innovative ways to deliver benefit. The typical enterprise suffers worse today than ten years ago from an inability to leverage its data. Often, customers cannot rapidly get answers to questions, data is not available to help make decisions or plan/budget for performance, data analysis capabilities are not available or accurate, and reporting is inconsistent and takes too long. In many organizations concurrent transactions are not possible across multiple legacy or desktop systems, and the dynamics of change make it almost impossible to provide information in support of role requirements for new or changing processes. Data privacy, external sharing of data, and service to internal and external customers of data become frustrating issues. Once again, it is important to place data as a strategic asset within an Enterprise. From any current situation it is possible to establish an Enterprise-Level data system strategy to incrementally build a solution while avoiding common delays and funding issues. Be sure to incorporate resolution of data issues at the semantic level in addition to solving the movement of data through integration. Establish a strategy for developing applications from data models that are dependent upon the enterprise semantics. Also, provide for comprehensive analysis capability with tools usable by business people, not just technology people. Finally, provide capabilities to leverage installed investments with rapid, incremental proof of delivery. Organizations have a rich history of performance data trapped in legacy applications. Silos make that data difficult to leverage across the spectrum of business performance. Reducing silos and ensuring that the data can be used effectively for higher level purposes is critical to achieving organization goals and objectives. Decision Support and consistency of information need the ability to leverage source data with fidelity in semantic meaning as well as in data format. Solutions focused here can derive value from a number of sources: using data regardless of source, reducing delays for information at the point of need, optimizing availability of data or information, providing richer search to find pertinent data or information, protecting data, and customizing information views. Take steps now to re-establish data to the level of prominence it needs to release the capabilities of the enterprise. Benefits of implementing this solution are broad and comprehensive. Gaining control of the data requirements and uses within an enterprise releases great energy to perform to business needs. Gradually, operating costs can be reduced in terms of time and people to resolve information needs. Requests for service can be completed much more accurately and quickly over time. Reporting regains momentum due to effective and efficient results. The enterprise image can be greatly enhanced through control and security of its information. Productivity grows incrementally creating greater energy and ability toward achieving required business results. Through a sound strategy and taking a steady course, data can, once again, establish itself as a valuable asset for the business. IT operations are under fire. Security is suspect; compliance levels are not known. Failures with large business impacts occur in production. Recoveries are needed often and require manual intervention. The source of problems often cannot be determined. Service levels may not be challenging, yet still are not easy to maintain. Operation schedules are highly dependent upon individuals. Infrastructure changes occur with unplanned impacts to those using the infrastructure. The command center is not always in command. System status is not known for all systems. There seems to be no end to challenges and the path to improvement or recovery is elusive. IT operations are critical to business capability. The operation, like any business function, needs to be architected for optimal, long-term performance. The focus must be on business requirements that drive technical support processes and infrastructure components to meet those requirements. Industry standards facilitate process implementation, and sound architecture principles, coupled with enterprise risk management, can ensure priorities are incrementally implemented to solidify performance to expectations. Change is difficult, likely taking many years to enhance performance sufficiently. Incremental change must begin to take an architectural approach if it is going to succeed. Since the turn of the century, IT operations has come under significant attack, with growing expectations for high-performance systems and an infrastructure that does not fail. Aging systems that operate in silos have proven to cause significant harm to business operations, requiring higher and higher investments in integration. As these systems are replaced, IT operations will have to establish the service levels required to meet expectations for best-in-class service. As new systems begin to break down the problematic architectures, the organization must fill in gaps quickly and reliably. From requirements definition to system implementation, it is crucial that IT operations ensure that new systems are not constrained by people, process or technology within the IT infrastructure. Once operational, there must be strong systems for configuration management and other services to ensure changes will not jeopardize security, availability or other key quality attributes. Organizations taking advantage of this solution have made solid progress in improving delivery to service level needs. Business operations begin to experience many fewer interruptions. System availability and reliability increase and incidents decrease in number and severity. The cost of IT operations gradually shows improvement. Recovery from incidents becomes more rapid and work right the first time. Fines are avoided where control agencies used to levy penalties for non-compliance. Customers begin to regain faith in the ability to obtain required services. Overall, the improved synchronization of activity with appropriate systems helps to establish a high quality environment for effective business operations. Security risk is a critical challenge in modern times. Data has been breached from within most enterprises. Applications lack security features required for Internet exposure. Access has been granted for resources that should not have access. Virus attacks have cost thousands in recovery costs. Fines for non-compliance have been levied. Infrastructure changes fail to incorporate security provisions. Internal individuals have free access that has caused significant loss. Security problems cannot be traced to sources. While these examples only touch the surface, it should be clear that there is significant liability in not securing enterprise assets appropriately. Delegata approaches security holistically, to establish security as a key enterprise practice and domain within enterprise architecture. By establishing a holistic approach similar to defense in depth, security problems can be addressed in categories to allow much more achievable solutions. It is not possible to address every problem uniquely, and resolving categories of problems provides for greater solution effectiveness and efficiency. It is also important to manage business and technology change with security emphasis. We strive to build security into requirements, to begin with the end in mind. Also, we have established security segments to all applicable methodologies within our Diamond suite. Security has always been a high priority for enterprises. With the added exposure of the Internet and the growing accessibility of assets through electronic means, the demand for security considerations has significantly escalated. The growing threat of identity theft and liability associated with breach of personal information has led to accelerated legislation and internal policy for increased privacy and security. By looking at security from an architecture perspective across lifecycles of shorter and shorter durations, an enterprise can avoid significant costs of reactive incident response, and can build a reputation for leadership in asset security with the most effective and efficient investment. Making the investment is a matter of survival. The challenge in the information age is to balance the need for security with the need for access. Proactively resolving security concerns has led to a number of benefits for clients. Most importantly, the image of organizations has been enhanced through eliminating bad press and leveraging successes in security implementation for positive external messaging. Replacing breaches with solid protection has reduced liability for security problems. The cost of proactive implementation is significantly reduced in comparison to reacting to immediate security problems. Customers gain faith and trust in systems and data and lose their fear of doing business with the organization. Insurance costs can be reduced and, more importantly, the assets entrusted within the enterprise are protected. Knowing the desired security posture helps an organization establish the correct path to security health, education and welfare. Organizations are under severe pressure to establish high levels of business effectiveness with significantly lower investment. As projects become the dominant way to implement change, the cost of breaking down silo infrastructure and applications to serve the business can become overwhelming. An architecture program for the enterprise can leverage existing governance capability to gradually introduce services that facilitate building to an improved target or vision state one project at a time. The program can also facilitate operational decisions that combine effectiveness toward alignment with the same target or vision. There are ways to model such a program and to implement capability in phases that demonstrate the value for continued investment. Architecture becomes just another common governance topic that sets measures that all programs contribute to. Programs survive in today’s market based on their ability to rapidly change their capability and performance through projects. Programs and projects are inseparable, yet serve in completely different dynamics and lifecycles that impede the progress of one another if the conflicts are not understood. By capturing the dynamics of programs and projects and integrating activity to provide structure to build projects that are aligned with enterprise goals and architectures, the two entities can not only coexist, but thrive to deliver valuable results. If programs and projects provide performance and feedback to leaders through targeted dashboards for operational and project contributions it can lead to resolving independent perceptions that divide teams and drive the teams to aligned achievement. With an emphasis on enabling internal resources to carry important roles and capabilities for the company, operational and project improvements can be coupled with organization change practices to achieve incremental and substantial changes that set an organization apart from its peers. An EA program, implemented in value-based increments, addresses problems in categories that make investments more beneficial, gradually moving from fixing problems to avoiding problems. Since there are few models to initialize, substantiate and mature an EA program, generating such a model from a set of defined patterns facilitates success of delivered service benefits earlier than most programs can normally get organized. Initial program gains have broken down common silo barriers and taught individuals that sharing the burden leads to significantly higher returns on investment. Providing just enough information to resolve the right problems can serve to fund many other services that can accelerate benefits and trust in program value. Benefits span people, process and technology factors in combinations to build business performance improvements and cost reductions simultaneously.